If seems that this question is frequently asked by the people who enter their doctors’ offices as patients seeking answers to the misery of allergic reactions to what they inhale, ingest or contact in their environments every day. If you find yourself in this select group, you know the frustration and hopelessness your condition has produced. 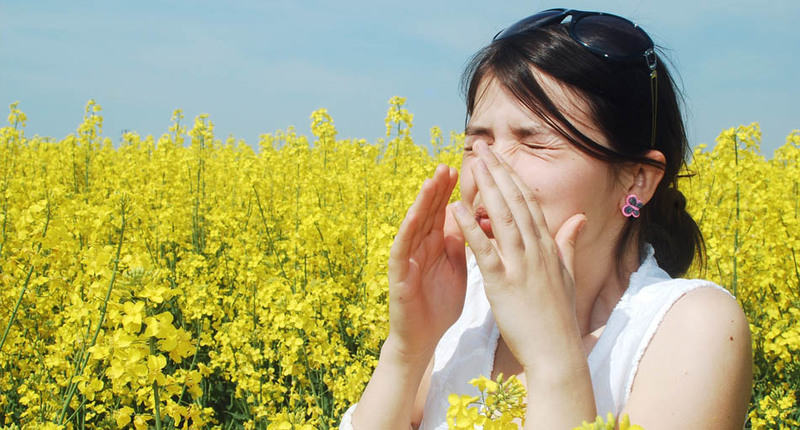 The lucky patients have isolated the specific allergen and are avoiding it, but for the unlucky, the allergen either cannot be avoided without complete isolation, or it remains undiagnosed, resulting in severe and chronic ailments. When a virus attacks, an amazing defense mechanism goes into action. The struggle to rid the body of the invading virus we recognize as the symptoms of illness, such as fever, coughing, aches, vomiting, fatigue, etc. These are, in fact, signals of the battle that is going on inside the body as it tries to throw off the invading toxins-producing virus. Untreated, the symptoms increase with serious results. Similarly, continuous contact with an allergen produces toxins in the body, causing similar reactions to occur. An undiagnosed or undetected allergic condition will produce conditions that are equally serious. Many times the allergic reactions produce symptoms that mimic other conditions. Respiratory problems like bronchitis, pneumonia, and asthma, circulatory problems like chest muscle pains, poor circulation, rapid heartbeats, heart irregularities, gastro-intestinal problems like indigestion, acute abdominal pains, acute appendicitis, bloating, constipation, diarrhea and ulcers, genito-urinary problems like kidney and bladder infections, prostate troubles, pre-menstrual syndromes and post-menstrual disorders, impotency, infertility, muskulo-skeletal problems like unexplained pains anywhere in the body, various types of headaches, backaches, arthritis, restless leg syndrome, brain symptoms like brain fog, depression, anger, attention-deficit disorders, hyperactivity, learning disorders, skin problems like eczema, boils, slow healing wounds, environmental reactions like multiple chemical sensitivity, allergy to pollens, perfumes, animal danders, carpets, building materials, etc… just about any health condition could be merely a symptom of underlying allergies. If such conditions are not diagnosed correctly, the patient may receive a treatment procedure that may further complicate the patient’s condition. No. You are not. Allergies in their mildestforms are merely nuisances. But for some people, accidental contact with an allergen can produce terrifying toxins in the body that result in clearly diagnosed illness just as though that person had taken a poison. Diagnosis for either is not easy, but the milder the complaint, the harder it is for the patient to get good treatment. For instance, how do you treat a person for “feeling out of sorts, for a slight loss of memory, for a slight but persistent sore throat or cough, for a nagging, dull headache that does not respond to pain medications, for a persistent backache or a tingling feeling in the arms and hands that cannot be diagnosed by a neurologist?” Some of these unfortunate people have seen their physicians so many times that they cannot tell you how often they have been ignored, diagnosed as suffering from a “nervous disorder” or been labeled a hypochondriac.